For this eco-farming article on growing grapes, we've interviewed the author of The Grape Grower, A Guide to Organic Viticulture as well as university researchers, grape growing experts in France, and others experienced in growing grapes ecologically to show innovative ways the urban, small town or small rural acreage farmer can prosper by growing grapes, either wine or table. On a recent trip to wine country in France, the author witnessed vineyard owners who insisted their grapes perform well because of their rocky, less than fertile soil. Wine grapes (vs. table grapes which can use a little more fertility) especially create better fruits because of the challenge. But a closer look at the best growing conditions often reveals that even in rocky soil, there’s life in the soil and a very balanced mineral content similar to that from the ocean. So here are more details on how vineyard owners across country and world are using new and sustainable methods to increase their success with growing grapes. Hyssop, (hyssopus officinalis), like the grape, has a long history with humankind and is mentioned in the Bible more than once. It’s believed by some to increase yields and fruit flavor of grapevines when planted as companion plants near them. Growing hyssop among grapevines as a beneficial companion plant is a traditional use, and growers are still waiting for more modern studies on the subject, but the tradition is long and continues. Hyssop is a flowering perennial evergreen growing two to three feet tall. Its additional benefits to the eco-farmer include that its long blooming season runs from June through October and its absolutely loved by bees, making it great for feeding pollinators or honey producing bees. Its leaves and flowers are harvested and dried for various medicinal and culinary traditions and can be made into additional value-added farm products. 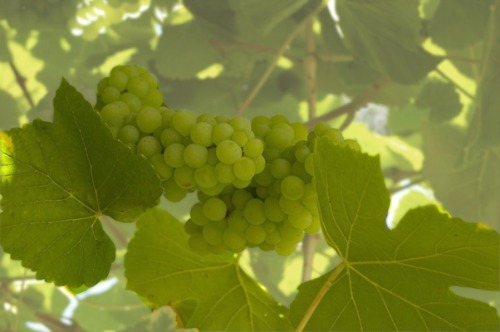 Like grapevines, it must have well-drained soil, and though it grows well in sun, it doesn’t mind shade produced by grapevines and its short rhizome doesn’t seem to negatively compete with grapes. If planted with grapes where sheep are used to mow, the same shepherding or taste aversion methods for keeping sheep from eating grape leaves and fruits may be tried with hyssop. Gophers, other rodents, and rabbits can cause serious damage to vineyards, and very toxic chemical rodenticides have been used to try to eliminate this problem. The smaller vineyard can eliminate much of this simply by keeping a farm dog around, but be careful, grapes are believed to be unhealthy for dogs even though many other fruits are fine for them. (Our farm dog literally stood before blackberry vines and gently picked the ripened ones for eating). Well-mowed fields that don’t provide rodent shelter and with a lot of human interaction can discourage them. But attracting barn owls, screech owls and hawks can eliminate huge numbers of rabbits, gophers, and other larger pest problems. A single barn owl family can eliminate up to 1000 per year. Viticulturists in Napa and nearby counties are having success by constructing nesting boxes for the two types of owls, and perches for hawks. Grape growers can contact or research their regional Audubon Society’s online information for specifics to make sure the desired birds in their areas are provided for in a manner that attracts those specific birds rather than starlings or other bird pests who might take up residence in your owl’s nesting box. Some of the healthiest vineyards from around the world grow on ancient sea beds. To bring the micro-nutrient rich balance from the sea to vines that aren’t growing in such conditions, some grape eco-growers are using seaweed, diluted sea water, and/or other sea products such as fish emulsion, fish pellets, fish bone meal or oyster shell in their soil or as ingredients to make foliar feeds. One manufacturer of a seaweed based natural fertilizer states that grape production can increase to as much as 25% when the seaweed fertilizer is used, and that very little need to be applied. That might be pushing the positive results a bit, but it depends on the vineyard's current situation. Dried seaweed can be added to vineyard soil as a top dressing, mixed with mulch that’s applied to the vineyard, or infused and sprayed as a foliar feed. 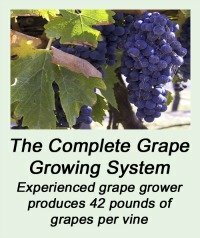 For those interested in trying diluted sea water, here’s Lon Rombough, organic grape grower and author of The Grape Grower, A Guide to Organic Viticulture,’s advice. “I live close enough to the ocean to go there for my seawater. For those who don't, there is a possible alternative. Pet stores sell what is essentially dehydrated seawater (ALL the minerals from the ocean, not just salt) to make artificial seawater for salt water aquariums. I've never had reason to try it, but if ocean fish can live in it, it should work. Vineyards of all sizes do well with any of the above techniques. 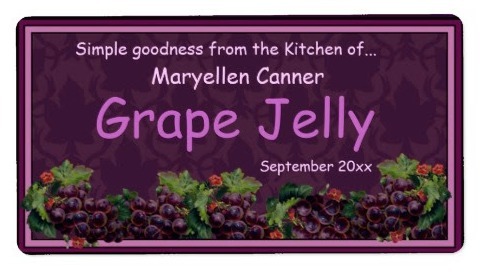 But those that are small enough to selectively hand-harvest each grape bunch at the peak of flavor have more advantages. Crops and subsequently sales and farm reputation will be superior, and this type of select harvesting is healthier for the grapevines. Lopez Island Vineyards, an organic vineyard in Washington State, uses agritourism for both marketing and hand-harvesting help. For the price of training and a meal, volunteers who love wine, vineyards and new experiences come to the farm to carefully hand harvest the wine grapes, thoughtfully looking over each bunch and harvesting only the fruits that are at their peak. Sometimes, all the care in the world won’t work when improper grape varieties were planted for that specific location, or the correct grape variety was planted in an improper manner. There are grape varieties suitable from the cold north to the Deep South, as well as vines that need much attention, and those that almost thrive on their own. 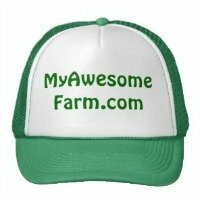 They need to be chosen correctly for the grower’s specific location and growing situation. But for all grape varieties, low, soggy locations with little air circulation are some of the worst conditions for a vineyard. Yet in some cases, there are rescue remedies even when conditions aren’t perfect. As mentioned, grapes need sunny, extremely well-drained soil, very good air circulation, not too much fertility (although live beneficial soil bacteria and sea minerals are good), and good depth in the soil for roots to grow deep, sometimes several feet down. If planting a new vineyard, plant the vines parallel to the prevailing winds to increase air circulation while protecting vines from wind damage. Make sure there is no hardpan or other problem with deep root penetration and if there is, and you can’t plant in a different location, consider breaking the hardpan and/or making raised beds for the vines. If your garden or farm vines are already planted and struggling because of possible low air circulation or shallow soil that’s not draining, rescue measures include seeing if other objects further away are blocking air drainage, such as a solid wall that stops air flow which could be removed or given air holes. Dig a deep drainage ditch around the vineyard for water runoff, and if you only own a few vines, use a post hole digger to create a deep channel near the plants filled with loosened soil and oyster shell for the vines to seek out and penetrate. Do not dig loose holes near the vines if the entire area has trouble draining without first digging a deeper drainage ditch around the entire vineyard. If you skip the drainage ditch, you could actually be creating “dry wells” that attract even more water to the vine’s root growing area, essentially drowning the roots. Rare miniature sheep in the vineyard for mowing, weeding, disease reduction and fertility. Sheep are known as excellent lawn mowers, sometimes even being used on golf courses. When Olde English Southdown miniature babydoll sheep (see photo) are grazed through the vineyard, they can bring multiple benefits to the grape grower. This breed is only 24 inches tall and has even been the subject of a research grant involved in sustainable vineyard practices. Along with these advantages, the sheep’s meticulous mowing reduces disease by eliminating blocks to air circulation caused by undergrowth, as air circulation is very important for grapes. If the sheep are owned by the grape grower, their rare wool which falls into the fiber class of cashmere creates another crop for the grower. For growers who don’t want to own sheep, there are services that rent sheep for mowing (don't accidentally rent goats instead!). Their presence among the vines makes a great agritourism draw. Even photos of eco-friendly sheep mowing the vineyard used on the vineyard’s website or in brochures is an attraction to the growing eco-conscious society. The babydoll sheep are controlled from eating grape leaves and grapes in one of three ways. For vineyards with high trellising, the sheep can’t even reach high enough to do damage. Conditioned taste aversion has also been used with success. Sheep are fed grapes and grape leaves along with the precise small amount of lithium chloride which gives them a temporary queasy feeling they permanently associate with the grape plant. In the future, they’ll eat just about anything in the vineyard but the grape plants themselves. On the other hand, while all grape growers want the sheep to avoid fruit, some actually welcome the sheep’s grape leaf appetite. They eat the leafy suckers that sprout from the lower part of the tough grape vines, eliminating a lot of pruning work ordinarily done by human hands. 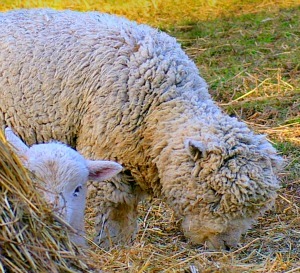 A third method, therefore, is to simply shepherd them – coaxing them away from any grape plants they shouldn’t eat, allowing the sheep and their even shorter lambs to enjoy low-growing grape leaves and suckers, and taking them out completely during the most vulnerable times. Since sheep tend to keep looking down as they eat (vs. goats that like to look and reach upwards), they make almost ideal weeders and mowers for vineyards, and a few other sheep breeds besides the babydoll have successfully been used to mow vineyards. Another method for keeping weeds and blocked circulation away is simply planting cover crops and mowing them down, leaving the cuttings as mulch, or even just mowing weeds down in the same manner. The organic Torres Family Vineyards in California keep a carpet of clover growing amidst their vines to add light fertility, ease erosion and suppress other taller unwanted weeds. They alternative between mowing it or tilling it into the soil. Mulching with wood chips in a specific manner has worked well with grapevines. Lon Rombough describes a method in his book The Grape Grower, A Guide to Organic Viticulture used by a vineyard owner near him who spreads local chipped tree trimmings right under the vines. This particular mulch has a small amount of nitrogen to add, and unlike some other wood mulches, breaks down very slowly so doesn’t take too much nitrogen out of the soil, either. When bluebirds, wrens and tree swallows are attracted to the vineyard, insect pest problems can go way down or disappear altogether. Any grower’s regional Audubon Society can give them information on attracting these birds to the vineyard. They may offer advice on precisely sized birdhouses, for example, and what time in spring in your area to set them out. Along with eating insects, wrens are very territorial while raising young, and will even chase away fruit eating birds. They’re very useful in cherry orchards for this purpose. But as Lon points out, “Wrens are most territorial when they have a brood and in many places they have raised their babies before grapes are ripe. Trying them is inexpensive, so it's often worth a try to put up strategic nest boxes.” There is also a chance that attracting them in spring may at least help keep other fruit eating birds from raising their young or establishing eating habits in the area early in the season, which may reduce some numbers when grapes ripen, depending on the type of fruit eating bird that’s a problem. When natural habitat amidst or near the grapes is balanced with the need for mowing and air circulation, spiders and other beneficial insects will naturally control insect pests. In addition, planting wild blackberries near the grapes is believed to create a desirable habitat for a parasitic wasp that destroys the eggs of a major grape pest, the grape leafhopper. One study in California noted that blackberry refuges within a mile and a half of a vineyard produced benefits for the grapevines starting early in the season. However, it’s been found that in order for a high population of the wasps to be produced, the blackberries needed moist conditions and an overstory of trees as is found in their native growing conditions such as along treed rivers. The study discussed native California blackberries, Rubus ursinus and the often dreaded invasive Rubus procerus, the Himalaya blackberry. A carefully planned and controlled patch of desirable blackberries under beneficial trees could potentially eliminate the grape leafhopper and offer yet another product to diversify the crops of the grape grower. Blackberries have also been the subject of studies showing excellent antioxidant and other health benefits to humans, and are popular crops for roadside and restaurant sales. As such, they have good potential as another value-added crop in the form of various preserves for the grape grower. 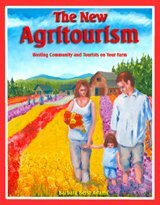 Promote your farm and its products -- Article on many unique and inexpensive methods here!